Posted on April 22, 2015, in Game Design, Lessons Learned, The Boards and tagged board game components, board games, game design, game design process, The Boards. Bookmark the permalink. 4 Comments. A good start, but I think you need to add BLINDtesting. Or make clear that “in-house” playtesting doesn’t count for this diagram. 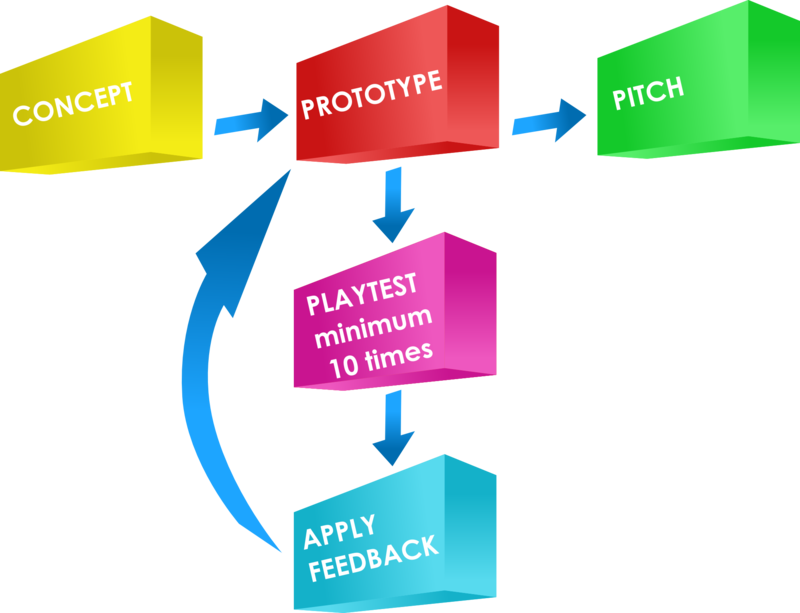 Make sure your audience knows that playtesting “in-house” doesn’t count for this diagram. You need BLINDtesting. Oops. Sorry for the duplication!